Daren Woolley, TrinityP3 marketing management consultant. 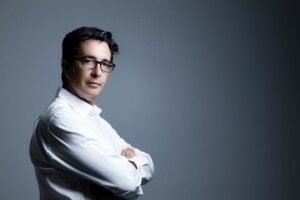 Louis Loizou, a freelance creative director in the UK recently shared on Linkedin his thoughts: “I’m not 54. I’m 22 with 32 years experience”. It is a passionate and considered argument for why older advertising creative professionals have not passed their used by date, but are actually “still passionate but with pragmatism and discipline”. Louis is not alone. Search 'ageism' + 'advertising' on LinkedIn and you will find literally hundreds of posts from older, experienced advertising professionals. On Google the same search delivers 490,000 articles. In most cases, these older, advertising professionals arguing that they are still creative, passionate, capable and more expensive. And this is the point where most of the writers get it wrong. The issue of ageism is not about price, it is actually about cost. It is not just that older, more experienced advertising professionals usually get paid more, it is the fact that in a cost obsessed industry, where marketers are wanting to pay less and agencies want to make more, senior staff are uneconomical. Let me explain. Have you had an advertiser tell you they are happy to pay more for their agency? While most believe that their agency remuneration should be fair, the definition of fair is often judged by the marketplace through pitching where agencies are known to lower their fees simply to win business. The role of procurement in this has resulted in a race to zero. Michael Farmer has proven this in his book Madison Avenue Manslaughter, where his data shows that agencies have had a 70% reduction if their fees in real terms since 1995. But with agencies being business they have had to adapt to the increased price competition and the downward price pressure by reducing costs. Becoming more efficient, especially at the back end, was the game plan for the holding companies, who leveraged their economies of scale. But prices continued to fall and so agencies looked to generate resources from other sources such as rebates and volume discounts from suppliers and even integrating vertically with production capabilities, which has led to increasing issues with transparency, especially in media and production. But there was one area that many agencies were able to make increased margins while responding to the pressure from advertisers for lower costs and that is in agency resources. In the face of falling prices advertisers are willing to pay, agencies had one game plan in regards to their agency staff. The way agencies calculate fees and especially retainers is to take the cost of the resource (the salary cost for the time committed, then multiple by the overhead and profit margin). Sometimes the salary cost is based on the actual salary and other times a salary cost that is based on an industry average. It is often complicated validating these salaries without compromising privacy. The overhead and profit margin is also usually, but not always, defined in the contract either for each individual component or as a multiple. For example, 100% overhead and 20% profit margin is defined as a 2.4 multiple on direct salary costs. Therefore, simply getting lower cost resources is a way of reducing the cost to the client but is does not create an opportunity for the agency to increase their profit margin. To increase profits, the agency needs to have low cost resources fulfilling more senior roles and changing a fee that is commensurate with the role and not with the underlying salary paid. Let me illustrate the point with this example here. As you can see, a salary promotion can effectively wipe out the agency profit within the retainer. But giving a title promotion to a more junior staff member without the corresponding salary increase or a smaller salary increase. Then position that person in the retainer as being the equivalent of a more expensive and more senior person they are replacing. Over time the agency will incrementally increase their profit on the account and hope that the client will not detect any drop off in experience or expertise. As long as the client does not have an ‘actual’ salary agreement or does not audit the agreement then it is unlikely the agency will be found out. Meanwhile many older, more experienced agency professionals find themselves facing redundancy as they are replaced by lower cost, less experienced resources, willing to do the same job for a lower cost. The ageism effect also has a sexism effect, especially in the agency disciplines where women are increasingly represented. I say this because in 18 years I have never seen an agency retainer agreement where the base salary fee is based on gender. Where women are paid, as reported, 23% less for the same role, the agency has the opportunity to make a significant margin here. Let me illustrate the point with this example here. Therefore, just by continuing the gender salary inequality within the industry the agency can increase their profit margin by 75%. Is it any wonder that recent reports show that one holding company continues to show a significant gender pay discrepancy across their networks? Beyond the concerns over unconscious bias, gender bias and ageist perceptions, is the real reasons many of these inequities exist based on the economics of the agency remuneration models? As professionals gain experience they become more valuable as their experience means they are able to work more effective and more efficiently. But under the current agency model, being more efficient - that is getting the work done in less time - is not an advantage. With the agency charging by the hour, taking more time justifies more money. The agency is under price pressure and looking for ways to reduce cost and it is not achieved by continuing to hire more expensive resources, even if those resources work efficiently. Of course, if agencies were remunerated not for the number of hours and the number of resources and their cost, but instead were paid for the value or the price the outputs of their efforts represented, then the model would accommodate these older, experienced, expensive but efficient resources, because it will not be about cost but value. For every marketer that says they wished there were more experienced people working on their business or account, perhaps they should look at how they pay their agency and how much they pay. Look to the procurement people you work with and ask 'how did they deliver those savings and was it at the expense of the very experienced people you want on your business'. Agencies are in business to make money too. The problem is that they way they charge is based on recovering the cost of doing business. Therefore experienced and expensive resources cannot be afforded, especially when young, cheaper and less experienced resources can be marked up and given a title promotion and passed off at being just as experienced. Darren Woolley is the founder and global CEO of marketing and management consultancy TrinityP3.